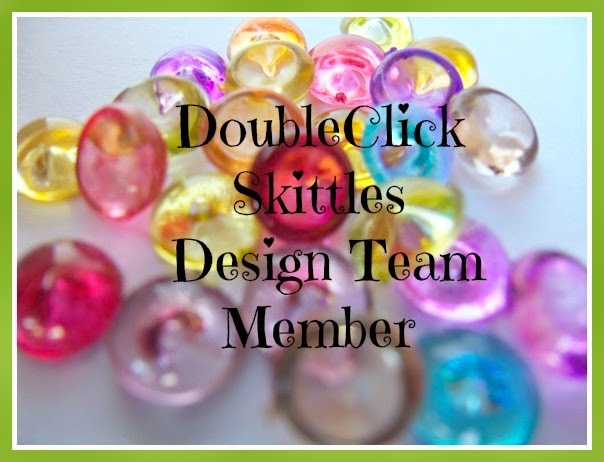 DoubleClick - AKA Abusybee: Come meet the DoubleClick Skittles Design Team! Our First Challenge! Win some Skittles! And a Winner!! Yummy looking ice cream card. Way to kick off the new challenge. Congrats to the new team your ice cream is so yummy can't wait to see what they produce. Wonderful ice cream creation. Like the embossing & sparkle. Congrats to the new DT. Congratulations to the new DT! I can't wait to see their ice cream creations! Congrats to all the designers and to you Carri for starting your own challenges! How exciting!! Your ice cream cone looks so delish! The embossing and the skittles look amazing! Love the design! Adorable card, loving that triple decker ice cream cone! Looking forward to the DT projects! Congrats to your design team. i can't wait to see what they come up with. Congrats to the new Skittle's team! Ice cream is a great first challenge! Entered my ice cream creation. I visited the DT & commented. Did not see a post for Georgiana and will ck back later. YUMMY! SKITTLES AND ICE CREAM!! I MIGHT HAVE TO TRY THIS ONE! LOL!! Congratulations on the NEW DESIGN TEAM! Congrats on the new design team! Congrats DT AND CONGRATS on the new challenge! Can't wait to play along. Love your yummy ice cream. For some reason I am craving ice cream. hmmm. Thanks for sharing. Hey Carri! I love your triple ice cream cone. That is a lot of ice cream. It looks delicious. I love how you added matching skittles to each scope. Nicely done.